Tomorrow is Cinco de Mayo. What started as a historical Mexican holiday is now more like a drinking holiday. It's the May version of St. Patrick's Day. I love Mexican food. I used to live in a neighborhood in Brooklyn where a Mexican restaurant was across the street. Tamales, tortas and tacos were food I could buy on the street. A Mexican bakery is called a panaderia, and you can find sweet breads called orejas and conchas. Many make elaborate sheet cakes for bakeries, but I have not seen Horchata cupcakes at a panaderia. For Cupcakes.About.com I posted a recipe for horchata cupcakes. If you can, use fresh horchata in your cupcakes. You make it yourself or perhaps buy some horchata from a local Mexican restaurant or deli. If neither of these are an option, then you can make instant horchata. Klass makes a good horchata mix. Klass is like the Kool-Aid of Mexican drink mixes. 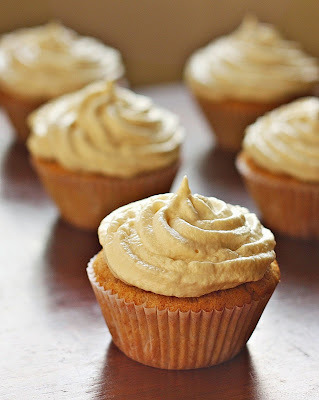 Also if you want to make your horchata cupcakes a little boozy, you can substitute vanilla extract with Malibu Rum. The coconut flavor compliments the horchata and cinnamon well. Enjoy!